AWC provide a broad range of commercial cleaning in a variety of premises including offices, schools, leisure facilities, shopping centres and local authority buildings. Whether this be daily, weekly or monthly cleans, we provide a clean, hygienic environment for employees and the public. Our services can help to ensure the highest standards of cleanliness are maintained during today's demanding requirements. Since 1999, AWC have become Brighton and the South East's leading, commercial and residential cleaning contractors. Our cleaning contracts range from small residential blocks through to large commercial, high rise, office buildings. 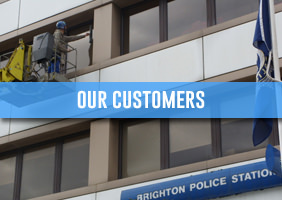 With the latest high level, window cleaning reach and wash pole cleaning equipment, fully trained staff, committed management and an impeccable safety record, AWC Brighton guarantees to find a cost effective solution to any cleaning task. A clean tidy working environment can improve performance and productivity whilst helping to achieve results in all types of business and organisations. AWC Contractors Ltd can help to achieve this in your organisation. We pride ourselves on the high quality services we have to offer you as a client. Our staff use quality chemical products and new, highly maintained equipment and are thoroughly trained on how to use them. We provide a full range of cleaning services to suit your needs, please take time to browse though our site to see our full range of services. First impressions will be paramount to your company, using our specialist team and equipment we can clean cladding, facias, guttering, signs, conservatory roofs, as well as patios and much more. We work 24 hours a day 7 days a week to make these awkward jobs easy. Our ground maintenance department are proficient in delivering a wide variety of services ranging from landscaping and upkeep of gardens to litter control. Our team can provide a seasonal service so you only pay for what you need. Let our staff customise a cleaning service program to suit your individual needs and your budget. Whether you require daily office cleaning, weekly or monthly service, or just one-time only janitorial service, you can count on AWC for top-notch cleaning contractors at unbeatable rates. Contact AWC Cleaning Contractors now and let our fully trained, motivated team design for you a 1st class, hassle free cleaning service. I find Marks service to be efficient thorough friendly and flexible. Overall very good value! 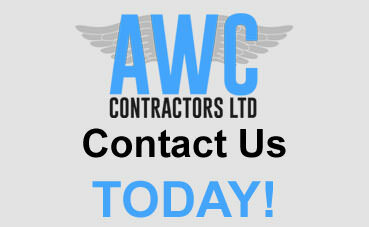 We have used AWC Cleaning Contractors for several years and have always been very happy with the service they provide. Mark and his team are always happy to help and go the extra mile and respond to our requests. I would not hesitate to recommend them. They are very strong on customer service and working with the client to ensure a positive experience. I would like to take this opportunity to inform you of the excellent service we had received from AWC Contractors ltd.
Having recently moved to a new grade two listed office we needed to recruit a company for window cleaning and carpet washing/jet washing which were reliable, cost effective but also dedicated to providing a quality service which respected the delicate nature of the building. We found these qualities in AWC Contractors and therefore, I have no hesitation in recommending the company for similar works. Their friendly yet professional approach has made working with them a delight. Be sure to give us a call on 01273 233 953 and one of our friendly team will be more than happy to give you a custom quote based on the level of work you require.